Meet Ava! 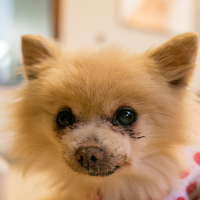 This tiny Pomeranian is in need of a loving forever home. She is just as sweet as she is adorable and gets along great with everyone she meets! Brea is tiny and would love to accompany you wherever you go. She will make a wonderful companion! Ava is about 10+ years old and only weighs about 4 pounds! 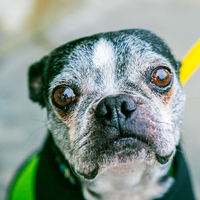 Bentley is a fun and happy-go-lucky Boston Terrier in search of his forever home! This sweet boy loves to play with other dogs, meet people, and explore the world. He is outgoing, fun to be around, and will make an awesome companion. 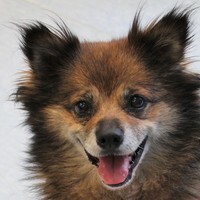 Bentley still has lots of pep in his step and would benefit from an active adopter. Not only does Bentley have a wonderful personality, but he’s also adorable and turns heads everywhere he goes! Bentley is about 10 years young and weighs 21 pounds. 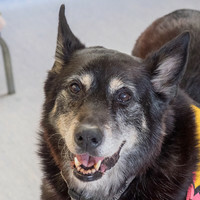 Crackers is a delicate senior pooch looking to spend his retirement years snuggled up on a warm and comfy bed right next to his favorite person. 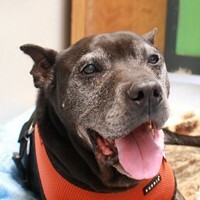 Although he can’t see too well, Crackers is still a friendly and easy going boy. 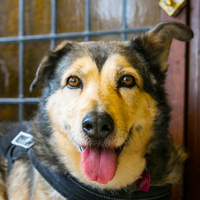 We’re looking for a mellow home to give Crackers plenty of daily TLC and belly rubs. Haley is a beautiful, purebred Airedale Terrier who recently arrived at Muttville. She has already shown herself to be loving, loyal, and sweet! Haley gets along with dogs of all sizes and enjoys meeting new people. 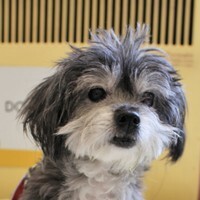 She is also hypoallergenic and great for people with allergies! Come meet this special girl! Haley is 12 years young and weighs 36 pounds. 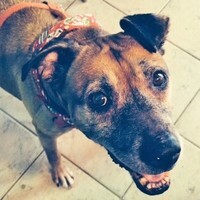 Remember Roxie, the 15 year old girl dumped at the shelter before xmas? 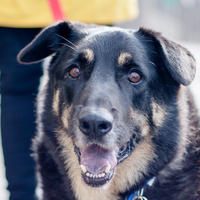 Elmer is a gentle giant with a heart of gold! He’s a super sweet, easy going and mellow fellow looking for his perfect match. Elmer has a silly way of walking, but that doesn’t stop him from wanting to go for his short strolls in the sunshine with his favorite people. He gets along great with dogs and even cats! This special boy deserves to be spoiled rotten during his golden years.